Play seems to be in the air this Winter: learn about inclusive play, read about toy collections in public libraries, or catch up on the Babies Need Words Every Day blog tour which includes multiple posts on play. 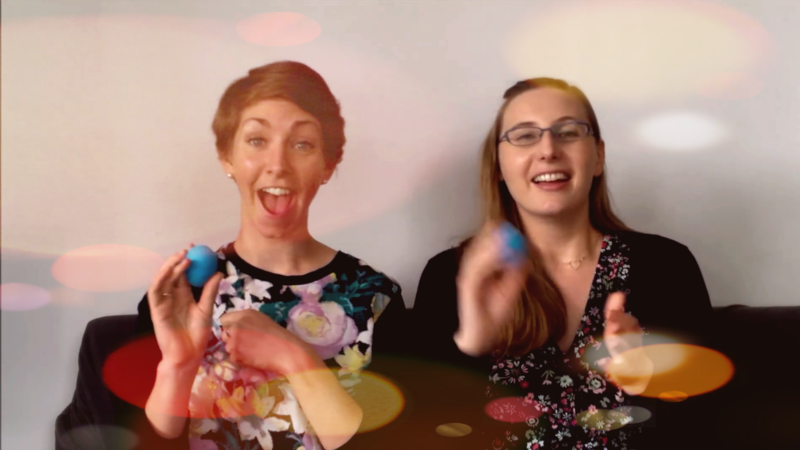 We even chimed in with our webinar Press Play! 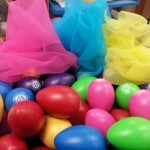 Injecting Play into Library Programs for Kids. All this to say, PLAY IS AWESOME! And today I’m going to take it one step further and tell you about my favourite way to play at the library: Family. Fort. Night. 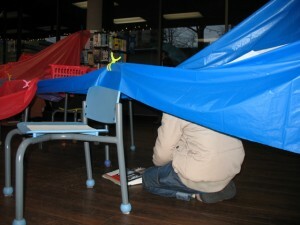 Step 4) Read your story in your fort! Make sure to have LOTS of books on hand. 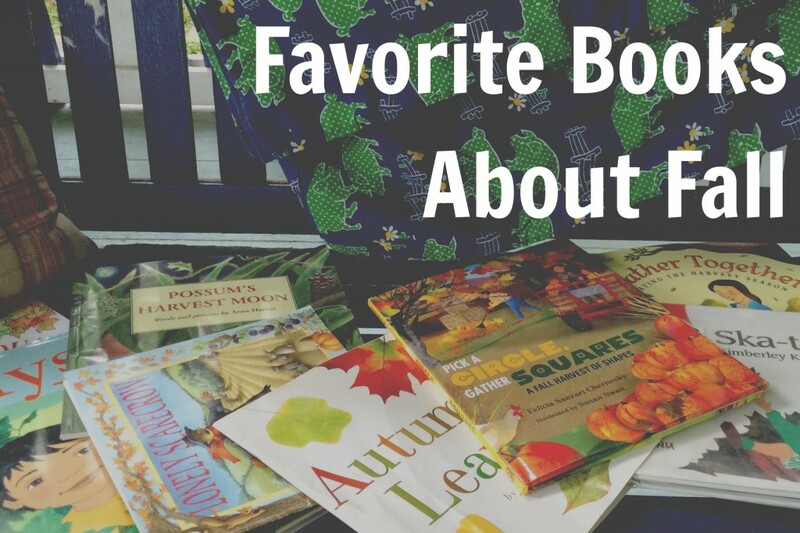 You’re going to be doing some fast booktalking and will want to have displays with your favourite read-alouds ripe for the picking. Keep your supplies in a central location so the tape and ALL THE CLIPS don’t wander off. If at all possible run this program after-hours. Not only is it way more fun, but you’ll also find the adults browsing the MAD magazines. Seriously. Read a story to begin the program and gather everyone together – bedtime stories are a great choice like the Pigeon Needs a Bath or I Dare You Not to Yawn or stories that inspire creativity like Chalk or It’s Not a Box. 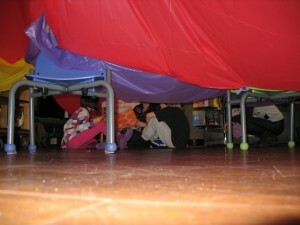 Have families name their fort and draw for a winner at the end of the night. Play music from your collection or nighttime sounds in the background to set the mood. 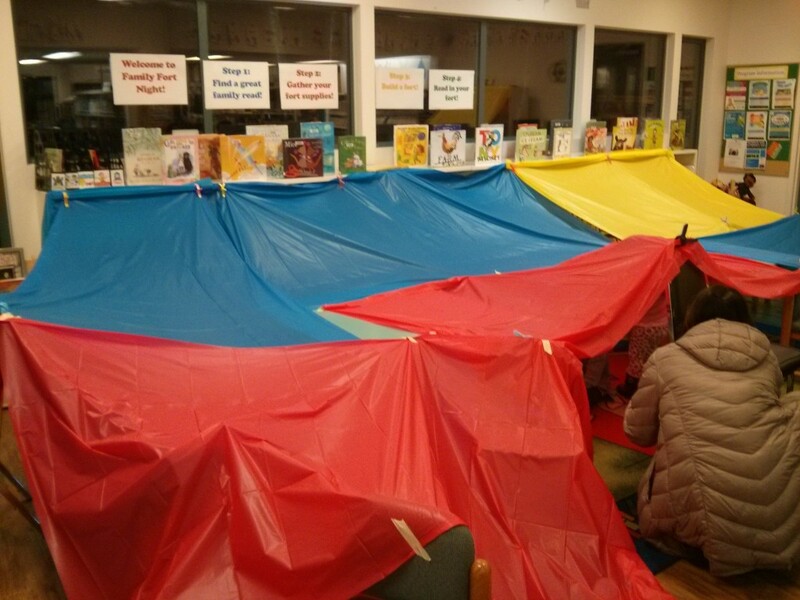 Make dreams come true and play hide and seek like our friend Amy, The Show Me Librarian, did at her Family Forts After Hours program. To do this she gave each family a glow bracelet, had the person wearing the bracelet hide, and instructed the rest of the family to find their person. 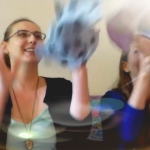 And now it is your turn, or in the words of our F/Hairy Godmother, go forth and fort! 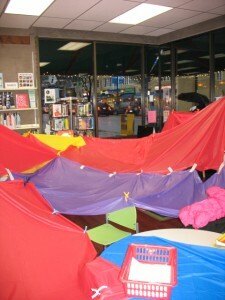 Have you tried a family fort night program at your library? Please share all the details below in the comment box! *Did this pass the Nine Year Old Giggle Test? Are you kidding me?! Of course not. Is your library doing advisory or programming around apps or digital media? Do you want to start? Research from Common Sense Media in 2013 cites that 75% of households own digital media in some format, with 40% of families with children under age 8 owning at least one device. Here are our Top 10 resources for learning about the research on using digital media with children and for learning about ways public libraries are embracing our role as media mentors. In 2012, the National Association for the Education of Young Children and the Fred Rogers Center for Early Learning and Children’s Media at Saint Vincent College released this paper giving their recommendation that “when used intentionally and appropriately, technology and interactive media are effective tools to support learning and development.” They also state that we must pay special attention to media use with infants and toddlers, avoiding passive play in favour of shared technology time with an adult caregiver. Though widely cited for their 2011 recommendation of no screen time for children under the age of two, the AAP recently came out with updated suggestions that make a distinction between passive and active media. They now recommend that parents engage in digital media with their children, model media behaviours, and investigate the quality of media aimed at children. A more formal policy statement to follow their 2016 national conference. This 2015 paper published by the Association for Library Service to Children summarizes the current research on the topic of using digital media with children and makes four core recommendations for all youth services staff. They recommend that every library have staff who act as media mentors, that media mentors support families in their decisions, that library schools provide training to future youth services professionals, and that current staff receive the professional development they need to take on this role. Their website includes many helpful links, including free webinars on this topic to their members. Zero to Three is one of the leading organizations advocating for early childhood education. In 2014 they came out with their “Research-Based Guidelines for Screen Use for Children Under 3 Years Old.” In these guidelines they advise that caregivers must participate in screen time for young children and that screen time should be interactive. They also highlight the importance of extending learning beyond the screen. The Cooney Center is an independent research organization that specializes in advancing children’s learning through digital media. They came out in 2011 with a publication that advocates for joint media engagement – using digital media alongside children – which leads to more positive learning outcomes. They were one of the first groups to emphasize the positive effects of caregivers participating in screen time. While no longer being updated Little eLit remains a vital source of information when it comes to digital media. Browse through the archived blog posts, scroll through apps which have been reviewed on Little eLit and locate lists and other trusted review sites. Finally, their home page links to some of the reports mentioned above and other important publications. If you’re just getting started or curious how to incorporate digital elements into your storytime we love Anne’s no-nonsense eStorytime outlines. She includes descriptions of the apps she uses and lots of images. Her introductory blurb on iPad Apps and Storytime would be great to adapt and share with caregivers as well. This is a great place to go for Canadian standards, research and policy for digital and media literacy. They also have excellent resources for educators and guides in several different languages. Lisa Guernsey is one of the leading researchers on digital media and young children today. Her most recent book Tap, Click, Read: Growing readers in a world of screens by Guernsey and Levine (2015) is a complete look at helping children develop strong literacy skills through “the combination of parents, educators, and high-quality media.” The book which started it all Screen time: how electronic media–from baby videos to educational software–affects your young child (2012) explores her journey as a parent and journalist to dispel myths around media use and children. If you’ve ever heard of the 3 C’s, we’ve got Guernsey to thank! Featuring app reviews for young children, teens and kids in between this is one tumblr you’ll definitely want to follow. Each review is written by a member of the West Vancouver Memorial Library Youth Department and includes helpful tags for searching by operating system, age, price and type. Do you have a favourite resource for using digital technology with children that we missed? We’d love to hear about it, give us a shout at jbrary@gmail.com. We can’t believe that we’re well into double digits in our Canadian Libraries Spotlight series, which aims to highlight the outstanding work being done in Canada to serve children and families. 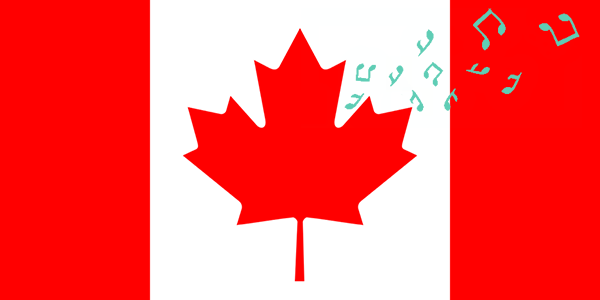 This week is particularly exciting as we welcome out first guest blogger from Quebec! Read on as Valerie Medzalabanleth from the Côte Saint-Luc Public Library talks about how her library has gone above and beyond to make the library an exciting place for families to be. The Côte Saint-Luc Library is located on the Island of Montreal, but is independent, and not part of the larger Montreal system. We serve a bilingual community, but it is predominantly Anglophone. I started working at the Côte Saint-Luc Library about four years ago, and I noticed almost immediately that it was a vibrant and well-loved library with loyal users and a fantastic staff. When I arrived, our population of children and families was steadily increasing, and has continued to do so since then. At the time, we were also seeing more and more newcomers, often from other countries; understandably, not all of them came running immediately to the library. One of the things I envisioned was including these new families and helping them find a community here at the library. Before I began working here, the CSL Children’s Department was known for its great baby programs, and it also had very fun special events. Over the past years, my goal has been to maintain that level of service, loyalty and satisfaction, while expanding the age demographic. I envisioned the department as a place where creative and fun things happened at any time, a place where families, kids, tweens and teens would find something engaging to do whenever they happened to be here. Accomplishing that, in my eyes, meant offering an array of fun programs, but also making sure that there is enough to do when simply visiting the space. If a children’s department is all about families, then we should embrace their presence, allow for the noise that comes with them, and do our best to keep them interested and entertained for as long as we can. With creating a true community and family space in mind, I’ve been actively working to create and grow the range of opportunities for exploration and collaboration, and there have been quite a few successes. 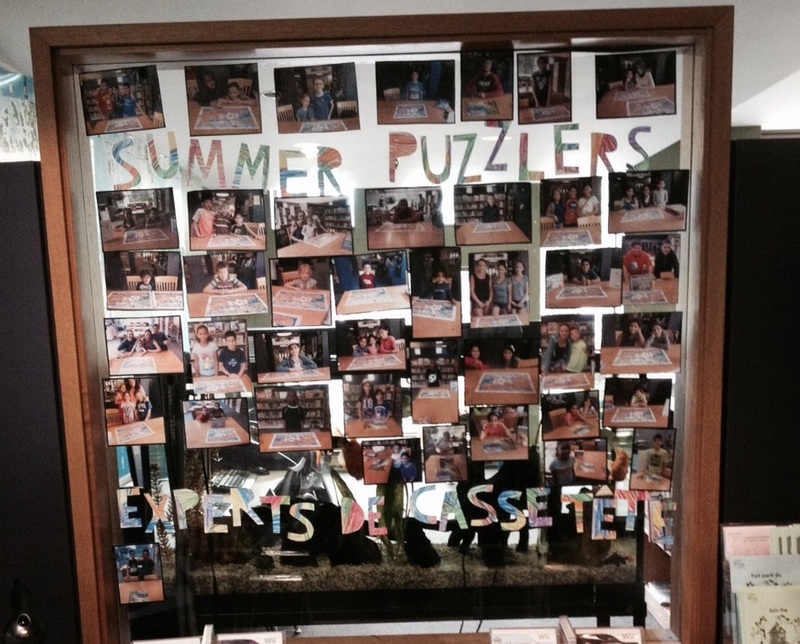 This past summer, we invited the community to complete a puzzle challenge. 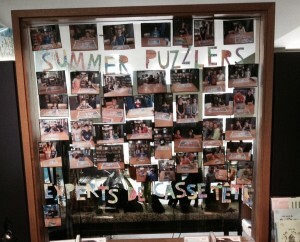 We left a puzzle out at all times and whenever it was completed, we took a picture of the team or individual who had done it and put it on our “Summer Puzzlers” display wall. To put it simply: this was a big hit. Even those who might not have looked twice at a puzzle before desperately wanted to be on that wall. After their puzzle was completed and their pictures were taken, kids, parents, and grandparents would often return to the library the next day to eagerly search for their picture. We even had a few “too cool for school” teens participating, and more than a few kids who usually came in just to use the computers were asking when we’d change out the puzzle so they could complete it again. One of the goals of our Summer Reading Club was to have kids want to visit the library on their own time and on a weekly basis. If they were visiting regularly, we hoped that they would also be tempted to read more regularly. To encourage this, we had a weekly treasure hunt, of sorts, which had kids scrambling through the department (safely, of course!) to find a letter X hidden in various spots. This simple game encouraged kids to discover parts of the department that they had perhaps never seen. It was also just plain fun. We never tried to trick the children; we wanted them to enjoy the process of searching for–and hopefully finding–the hidden X. We gave out prizes, but kids seemed to find even more satisfaction in completing the challenge as their parents looked on amused, trying not to give too many hints. Those passive programs are just two examples of how we worked to get families excited about their library visits. While they were here, I also hoped to tantalize them to return for fun “active” programs. 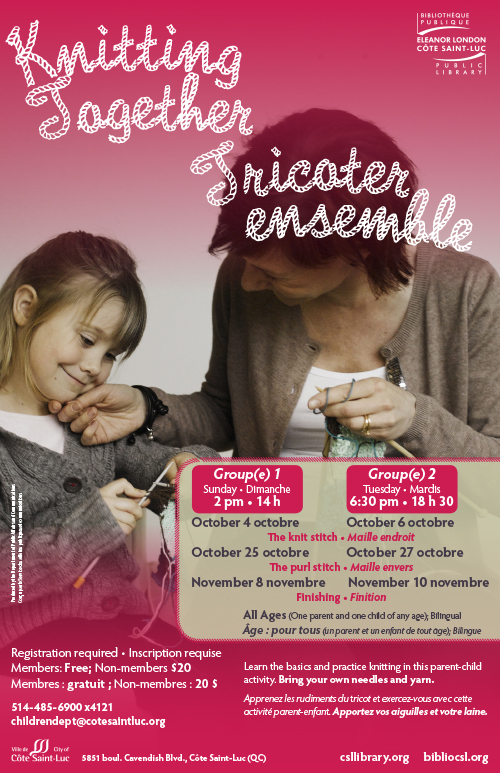 This fall, we had a sock-puppet workshop aimed at 5-to-9 year olds. The program was full; we even opened up extra spaces so more people could participate, reaching our max attendance for a children’s activity. One of the most exciting thing about the workshop was that whole families came. We saw sets of siblings, accompanied by parents and sometimes grandparents, working together and with other families, sharing the resources (glue sticks, fabric markers, etc.) and ideas. It’s incredibly rewarding to organize and lead a program that helps children unleash their vivid imaginations. 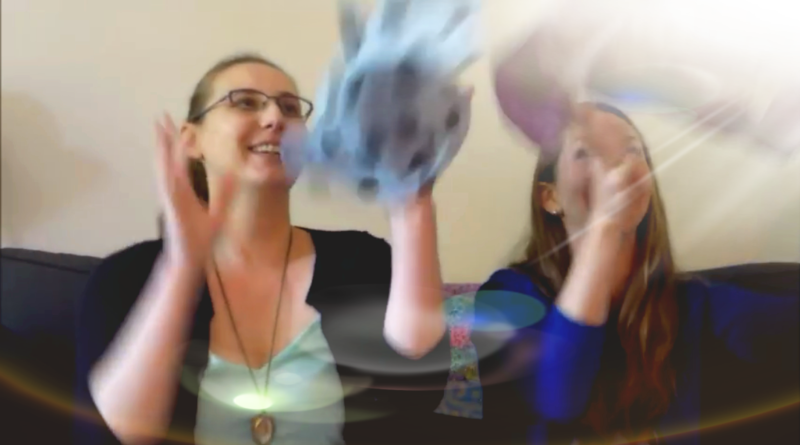 We gave them the loosest of directions (let’s read this silly story together, then you can sketch out your plans, and make use of whatever material you want to make your sock puppets) and they created superheroes, dragons, princesses and a few entirely original beasties. One nice surprise: a few families posted pictures of the event on Facebook, which raised the profile of the department and our activities even higher. Riding high on our puppet-makers’ desire to create, I began talking with some of our participants about an upcoming program that I have been really excited about: a parent/child knitting class/group. I have been an avid knitter for about seven years, coming to it as an adult after trying to get the hang of it a few times as a kid. There’s something really rewarding about creating something, and the sense of community that arises when you have a group of similarly creative people around you is like no other. Lots of libraries, including our own, have knitting groups for adults, and some have knitting lessons for children, but I wanted to focus on a cross-generational group. I had previously put out a call to find out if anyone in the community was interested, and almost everyone said the same thing: “My child and I really want to do this, but we don’t know how to knit yet.” This fall, we have started to solve the problem. We are leading two groups into a basic three-session intro to knitting. Afterward, all the participants will be invited to switch over to a monthly meeting. 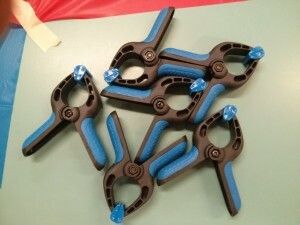 This community-building activity now has a healthy registration; based on early feedback, I’m optimistic that the class will definitely develop into a regular group, and from there, it can only grow! Writing this post has been a lot of fun because it has made me focus on the various ways we have tried to keep our public engaged and invested in their public library. I like to think that our active programs help feed into the passive games and toys we have in the library, and vice versa. Just this past Sunday, our weekly storytime took an exciting an unexpected turn right when we were wrapping up, as a group of kids began using our giant tinker toys. It was great to see kids who would never have spoken to each other (despite just having finished a program that they were in together) turn into a team with an ambitious goal: build the tallest tower they possibly could. Looking on, I couldn’t help but think they were demonstrating what it means to be an engaged community by building a tower, and by offering that blend of programs, the public library was helping them get there. 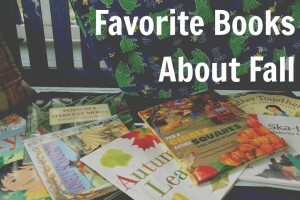 One of our favourite parts of the fall season is learning about all the new books that are soon to hit the shelves. If you’re like us and work in a large system with centralized purchasing, you have to make a concerted effort to stay on top of new releases. Have no fear! In this issue we’re sharing ten of our favourite websites to keep up-to-date on children’s and young adult books, apps, and audio visual materials. 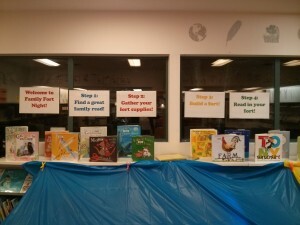 Step Up Readers: The fabulous Storytime Katie has started a second blog and it’s all about those beginning readers your 5-7-year-olds gobble up. This part of our collection can be hard to stay on top of, but Katie comes to the rescue with overviews of series, publishing information, and new releases. She often includes her personal review of the quality and the level of difficulty. 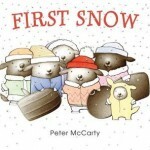 CanLit for Little Canadians: We love promoting Canadian authors and illustrators and this website is a goldmine. Helen Kubiw, a teacher librarian, maintains the site, creating fabulous booklists and making sure we’re all aware of upcoming publications by Canadian creators. 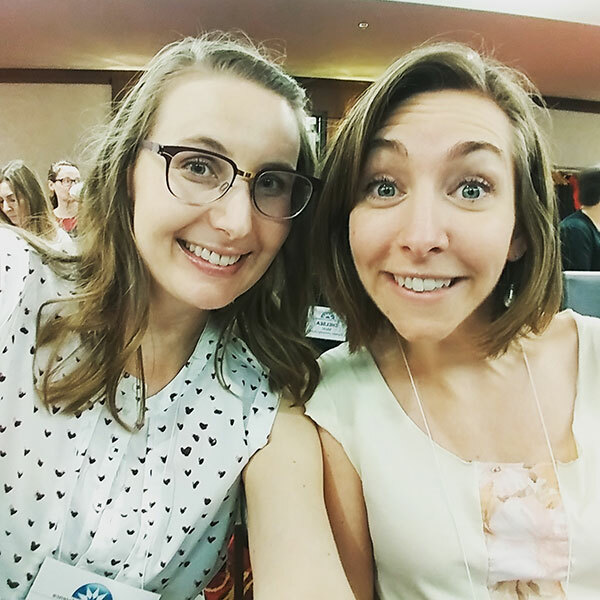 The Nonfiction Detectives: Run by a school librarian and youth service manager duo, this website is paramount for learning about exciting new information books. It’s the place where Lindsey learned about the new biography of her all time favourite poet that came out April 7, 2015! Forever Young Adult: If you’ve ever found reading reviews to be boring, you must visit this site! This group of ladies review teen fiction with pizzazz and humor. Not only that, they also recap popular teen TV shows and movies so you can still be hooked into teen culture. Before you start reading, check out their explanation of their book report grading. 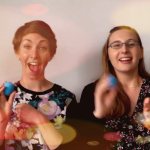 Literary Hoots: Emily is one of my favourite children’s librarian bloggers hands down. She posts very succinct and helpful reviews of picture books through YA, but in addition to that she also shares super cool reader’s advisory stuff like this super awesome flowchart for middle-graders. 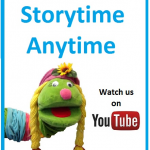 And if you read her blog regularly, you’ll get to see all her storytime and program ideas! Sense and Sensibility and Stories: If Canadian children’s literature had celebs, we think Rob Bittner would own the red carpet! 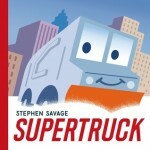 His blog offers short, honest and extremely succinct reviews of new picture books right up to teen novels, with a focus on both diverse and Canadian materials. AudioFile: When we asked a colleague where-oh-where we could find reviews of children’s audiobooks she pointed us to AudioFile and we have never looked back. Using the “children” filter for new reviews you can browse what’s new and great or under Features check out AudioRex for children’s audiobook reviews by age category. 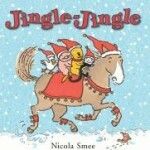 Digital Storytime: This is THE authoritative review site for picture books apps. Started by Carisa Kluver in 2010 because she couldn’t locate credible ebook reviews when deciding what to buy for her family Digital Storytime has grown to a robust site searchable by category, age, price and device. School Library Journal: We know that you know about School Library journal. But, did you know they now host some of your favourite book bloggers like Betsy Bird, Teen Librarian Toolbox, and Travis Jonker? They can be counted on for solid content like Librarian Previews and Reviews (including apps!) but also much richer content like cool author interviews on Fuse #8 TV, The Yarn podcast (which is like Serial but for Children’s Librarians) and super hip Friday Finds. We Need Diverse Books: This is a hugely important resource for ensuring that we continue to build truly diverse collections and is the flagship of the current movement in children’s literature. Check out the Where to Find Diverse Books section for awards and review sites and the Summer Reading Series (we hope there’s a Fall one!) for great readalike ideas for popular titles and series. Do you have a favourite website for collection development ideas that we missed? We’d love to hear about it, give us a shout at jbrary@gmail.com.